They are the victims no one has ever cared about, until now. Agents Stevens and Windermere return in the blistering new crime novel from the fast-rising, multi-award-nominated suspense star. She was a forgotten girl, a runaway found murdered on the High Line train through the northern Rocky Mountains and, with little local interest, put into a dead file. But she was not alone. When Kirk Stevens and Carla Windermere of the joint FBI-BCA violent crime force stumble upon the case, they discover a horror far greater than anyone expected—a string of murders on the High Line, all of them young women drifters whom no one would notice. "You don’t ever surf trains on the High Line." 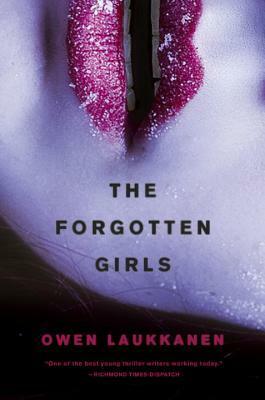 The Forgotten Girls is a police/FBI suspense thriller. A serial killer has been killing women for years. He uses the High Line train to pick his victims. His usual victims are women who nobody cares much for. They are either Native American Indians, prostitutes or runaways. He also takes advantage of the cold weather to hide his killings. The novel starts with a runaway girl named Ash becoming one of his victims. Ash has made many friends with the people who use the trains as their transportation. Her friend Mila, who is another runaway, is devastated when she learns Ash has died. She can't believe it's an accident and she starts searching for clues in Ash's death. She soon learns there are whispers of a bogeyman who has been killing women for years. Mila knows she might die if she continues her search but she wants justice for her friend. Two detectives are in charge of Ash's case. Agent Kirk Stevens and Agent Carla Windermere are part of the joint FBI/BCA violent crime force. They soon learn their current case might be related to other women found dead or going missing in the same area. Once they are sure they have a serial killer on their hands, the race to find him and save Mila begins. I like the suspense The Forgotten Girls carried and there were a couple of scenes that had my heart beating fast. However, I thought the two detective characters to be too impersonal. I learned pretty much nothing about them. I'm not sure if there is more insight about them in the prior books but I wish I could have cared more for them in this one. On the other hand, Mila's character had more depth. I really wanted her to find the killer but I was also thinking how dumb she was by thinking she could survive him. I was wishing her good luck because it was the only way to save herself from him. The novel also provided us with the killer's POV. Those chapters were disturbing. He hated women and he enjoyed hurting them. Overall, I thought the writing was good. I do want to read the next one in this series. A complimentary copy was provided by G.P. Putnam's Sons via Netgalley in exchange for an honest review.